Posted: Thursday 5th March 2015 in Events and Awards, Owned and earned media, Thought Leadership. 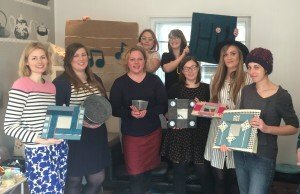 Summit held an exclusive crafting event for a group of bloggers on behalf of our client, Carpetright. 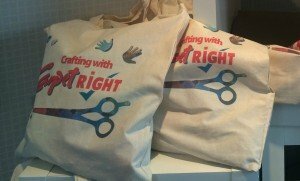 The aim was to bring creative people together for an inspiring day of crafting, and also to gain positive brand exposure and high quality relevant backlinks to the Carpetright site. The task was to associate a craft event to a retailer better known for selling flooring and beds. Previously at Summit, we have worked with clients on events with similar objectives, but this was our first event for which we took end-to-end responsibility. We had people on the team who have event experience, so we knew that organisation and preparation is key to creating a successful event. We devised specific documents and calendars to ensure we had considered all the event components and possible scenarios, as well as to keep us on track of contacting people and sending out reminders. 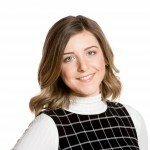 The idea of crafting derived from the current trend of up-cycling and DIY within the blogging community. We engaged with a wide range of bloggers giving them content that is rich and relevant. We needed to ensure that the crafts being carried out on the day related to Carpetright, therefore every activity incorporated off-cuts of carpet. The exclusivity of the event meant we only invited 8-10 key online influencers. We based our decision on a number SEO metrics, social following and whether their interests were around DIY and craft. The venue, Chirpy, was cool and quirky. We occupied the first floor which was an open plan room dedicated to hosting craft classes of all varieties. It was the perfect size, giving everyone room to manoeuvre as they participated in the craft activities. The craft class was led by visual artist, Miriam Laville, who came prepared with complementary materials, expert creative knowledge and craft ideas for the attendees to try out with carpet off-cuts.